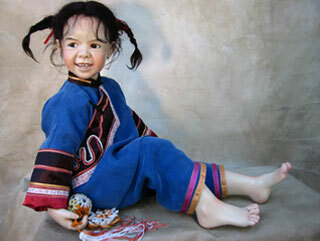 Since 1980 doll artist Susan Krey has been beckoning collectors to join her in an imaginative journey. Skilled and insightful, the creative Krey sculpts dolls that are lovely and realistic. She has the rare ability to make art that is both lyrical and empirical: Her work celebrates beauty and poetry while simultaneously honoring the faces and traits of everyday down-to-earth people from across the globe. 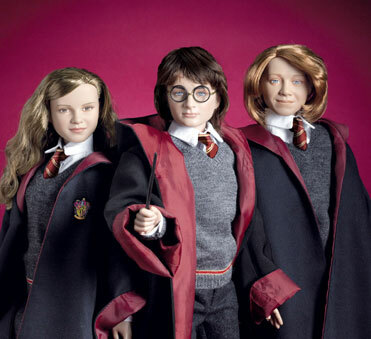 Her dolls are international ambassadors, glowingly and meticulously depicting citizens of the world. The story of how and why Krey makes them is a voyage of external exploration and meaningful introspection. Her personal history, combined with a healthy appreciation for cultural legacies, is evident in the 2008 Krey Baby line. This year’s coterie of exquisitely garbed and crafted dolls is a tribute to global sensibilities. There’s nary a blond-haired, blue-eyed farmer’s daughter among the group. 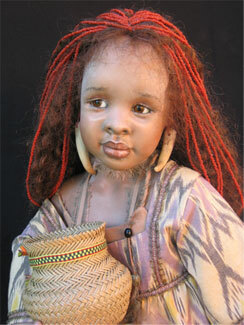 Rather, the dolls have decidedly African and Asian characteristics. Taken as a whole, they are a testament to the grace and dignity that reside within all of us. Krey is honored to be the tour guide into a world that many of her collectors will never know firsthand. The motif of Krey’s current creations is “global warming”—not the climate variety but rather the bond that exists among all inhabitants of the planet. By examining overt differences, Krey has cleverly showcased the inherent similarities that defy geographical boundaries. Her commitment to celebrating the innocence and purity of childhood is not lost in translation. As she approaches her 29th year in the doll industry—three decades of setting the bar higher and higher for herself—Krey shows no signs of fatigue or ennui. She is still excited to finish one collection and to begin work on the next. “I am ever grateful for the experiences that my love of art has given me throughout my life. It has been my friend for as long as I can remember. I have been able to use my hands, my brush and my imagination. It has brought me fun, joy and frustration,” Krey observes. Finished with her 2008 offerings, the artist can’t reveal what is perched on her drawing board for next year. One thing is for sure—her Krey Baby dolls will continue to evolve, and they will once more highlight her affinity and appreciation of the feminine form. Krey pleads guilty to this fem bias. “I am the mother of four boys but, alas, only one girl. Do you blame me for making more little girls? As a matter of fact, I started making dolls after I had my last baby boy. Having babies is the most creative thing one can do. I just kept on going . 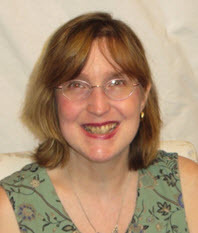 . . and going!” Collectors everywhere are grateful for her maternal instinct and her fantastically fertile imagination. For more information, visit www.kreybaby.com or call (425) 483-0537.